Please note there is NO SCHOOL on this coming up Monday, January 15th in observance of Martin Luther King Day. Do you have a student entering Kindergarten next fall? Come spend a day in Kindergarten to see what we are all about! Your child will join our Kindergarten class for circle time, music, PE, lunch and crafts. Parents will meet with the principal, take a tour of the school and get to know other TVA families. January 30 from 8:15 a.m. - 12:00 p.m.
February 13 from 8:15 a.m. - 12:00 p.m.
Space is limited, so please call our school office at 503.649.5518 to reserve your spot. Our Christmas Concert is on TUESDAY, January 23rd at 6:30 pm. I have chosen an earlier time to better accommodate the younger students, and the program will be shorter, closer to an hour and 15 minutes. The theme is Ring the Christmas Bells, as most classes are ringing bells. With that said, please have your students back to the school and in their classrooms no later than 6:15 pm. The children are welcome to wear anything that would be considered festive and dressier than regular school clothes. Boys can wear slacks, button down shirts, sweaters, bowties, regular ties, etc. No sweaters or ties with flashing lights and no jeans, please. Girls can wear slacks, dresses, skirts and tops, or sweaters. Also, no jeans or flashing lights. If you have specific questions please feel free to contact me at aboyer@tvja.org or call the school and leave me a message. I’ll be sure to get back to you. Thank you! I’m looking forward to a great concert! 2017-2018 After School Program: Winter Session - Thursdays: 3:20 – 4:20 p.m.
Bricks 4 Kidz after-school classes deliver a high quality educational program where kids experience the hands-on fun of motorized and brick model construction using LEGO® bricks. ● We Learn… Problem solving & critical thinking skills are developed while creativity and self-confidence are encount aged. Lessons teach S.T.E.M based concepts across a variety of subjects like gear ratio, torque and friction, geography, space exploration, weather and MORE! ● We Build… Classes are multi-age with 2 levels of builds for each class; a beginner model for K-2, and advanced model for Grades 3-5. Working with a partner, students build a new model each week, from concept to completion. ● We Play… Math & Science are applied to real world situations while architecture and engineering concepts are explored through challenges and creative free play. To register online, please visit our website. For a full class description, please visit our website. 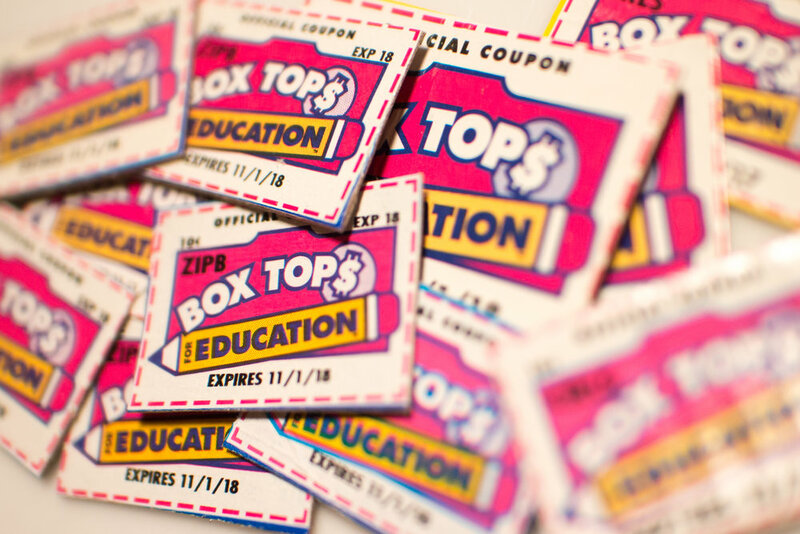 It’s time to turn in your boxtops! Each class will collect boxtops starting Monday, January 15th with the last day to turn in being Friday, February 16th. Each class that meets the mark of 400 boxtops will get an opportunity for a class prize, and the class with the highest amount will get a bigger prize. In addition, any class that collects more than 1000 will be able to keep 20% of what they bring in for their classroom. Grades 7 through 10 get to keep 50% of the money earned for what they collect! This can be a great fundraising opportunity for your class! Thanks for supporting TVA through boxtops! Please mark your calendar, teacher appreciation week will be held the week of February 22nd to March 3rd. We will be sending more information home soon. Volunteer opportunities: We will be needing at least 2 parents volunteers per classroom to help out with this event. If you would like to help out, please contact Angie Peterson at 503-523-8115 or you can e-mail her at hands@tvja.org. Jr. High and High School Ski Trip is Coming! The Jr. High and High School ski trip is just around the corner. It will take place February 7th to the 9th. Information about the trip will be coming home soon. There is NO SCHOOL on this coming up Monday, January 22nd for teacher report card day. Please note the school office will also be CLOSED on January 22nd. Home and School Needs Your Help! if you have a passion for the school and want to be involved in all the fun events, please join home and school! Is your child into speed stacking? By the end of next week the school office will be selling different Speed Stacks and mats at a great price. Come join in the speed stacking fun! We have SCRIP (gift cards) available at the front office for anyone to buy. We will be placing the next SCRIP order on Tuesday, November 14th. Please make sure we receive your order by 10:00 a.m. on November 14th. Your SCRIP order will arrive on Friday, November 17th. Thank you for supporting our school! The office now has See's lollipops for sale. Each one is $1.00. The current flavors are chocolate and butterscotch, but we will be adding vanilla and coffee in November. 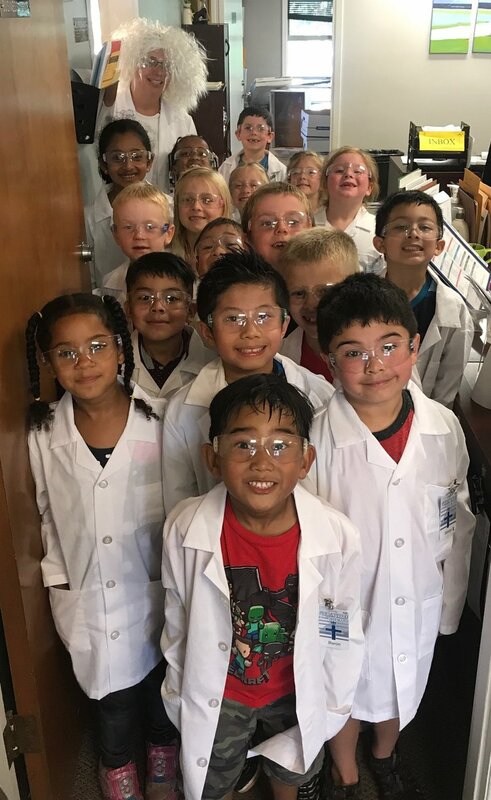 All money from these sales go to support Mrs. Wendt's wacky science program with Susie Scientist. We are now selling TVA t-shirts, long sleeve shirts, and coffee mugs at the front office for $6.00 each. We have youth small, medium, and large. We also have adult small, medium, large, and extra large. Spirit day is every Thursday so make sure you wear your TVA t-shirt on that day! We have SMENCILS at the front office for a $1.00 each or 5 for $4.00.! All proceeds will go towards improving the teacher’s workroom.